Each ink color has its own specific gravity and viscosity. 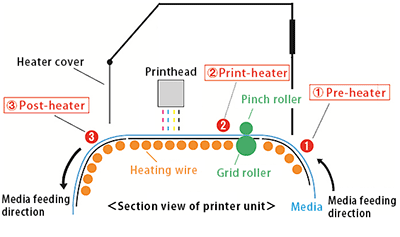 To achieve precise placement of the ink droplets onto the media, Mimaki designed an optimum waveform that allows the printhead to jet each ink color at the appropriate jetting angle without losing excellent ink droplet circularity. Moreover, various ink droplet sizes are precisely placed from the minimum size 4pl to the maximum size 35pl. 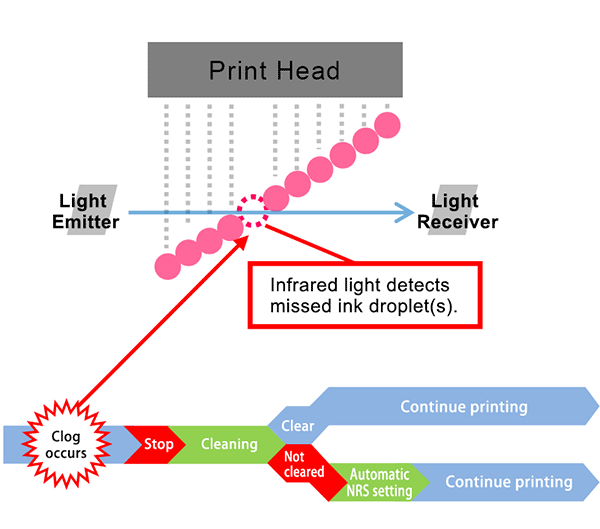 Small droplets create beautiful high-resolution printing, and large droplets are very useful for high-speed printing. 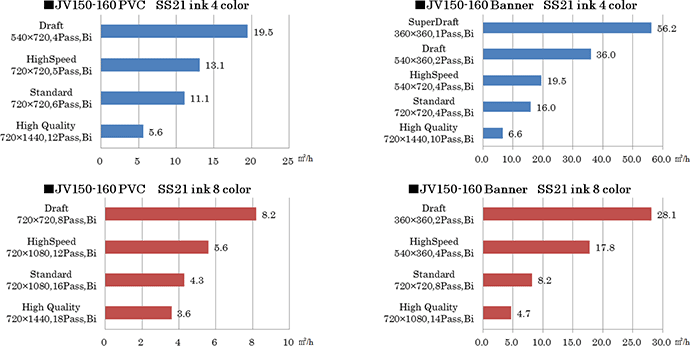 Thus, the JV150 satisfies a wide range of needs including beautiful high-quality printing and productive high-speed printing. When the temperature of the media is not optimized, the perfect shape and size of droplets are not appropriately adhered onto the media. A patented three-way intelligent heater is built into the JV150, and each heater maintains the temperature appropriately to obtain high-quality printing. The details of each heater are given in Figures below. Maintains the temperature to produce vibrant colors and improves adhesion of ink droplets onto the media. Sb53 ink is a sublimation ink that produces bright colors and enables high-density printing. The ideal print material is polyester, which is used for apparel fabric, sports uniforms, and swimsuits.